I use my expertise in body imaging and interventional radiology to fill a distinctive position at MSK. As one of a few physicians with training in both areas, I perform diagnostic exams using ultrasound. I also do interventional procedures and biopsies with ultrasound, CT, and fluoroscopy. When I joined MSK in 2008, ultrasound-guided biopsies were only performed on the thyroid. I extended this practice to include biopsies of the abdomen, pelvis, musculoskeletal organs, and lymph nodes. Ultrasound-guided biopsies often provide a safe, quick, and comfortable experience for people with cancer, with a faster recovery time. I have initiated transvaginal ultrasound-guided biopsies. I use transvaginal and transrectal ultrasound to guide interventional radiology procedures in the operating room. I work closely with gynecologists to rebuild the cervical canal in women with cervical cancer. This may allow pregnancy and monitoring of the uterus. I am also developing a program involving ablation of neck lymph node for metastatic thyroid cancer. 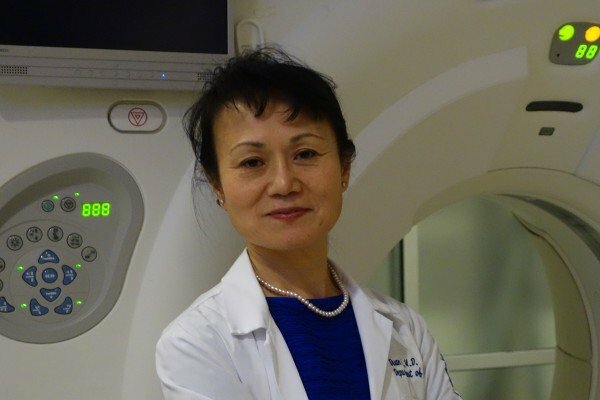 My research focuses on fine-tuning ways to combine ultrasound, CT, and MRI. These fusion techniques allow us to compare images using statistics. We can place one image on top of the other to find cancer with great precision. I am also investigating using ultrasound in the operating room to monitor nasogastric tube placement. I am a member of the Head and Neck and the Hepatobiliary Disease Management Teams. I also serve on the Department of Radiology’s Quality Assurance Committee. Above all, I continue to find ways of using radiology to enhance the comfort and well-being of the people I care for.